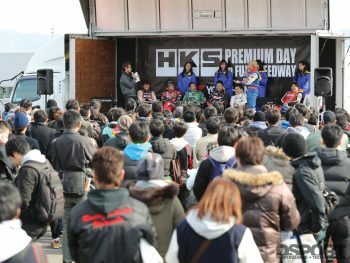 While NISMO Festival at the end of the year usually kicks off a season of events to usher in the new year, it’s HKS Premium Day that brings together the most well-respected tuners and quickest cars in Japan. This event, sandwiched between Tokyo Auto Salon and Osaka Auto Messe, features a plethora of activities including time attack challenges, a dyno shootout, as well as a showcase of HKS’ latest products and more. Between the blistering laps of time attack battle, the event also hosted the D1 Ultimate 4 drift demo featuring both the HKS Racing Performer 86 and IS340-Z. Despite the weather forecast showing rain leading up to HKS Premium Day, the skies stayed clear enough for over 4,000 spectators to enjoy the event. While some track renovations at Fuji Speedway kept HKS from hosting its annual Custom Car Carnival, the main track went hot all day long. Between the blistering laps of time attack battle, the event also hosted the D1 Ultimate 4 drift demo featuring both the HKS Racing Performer 86 and IS340-Z. 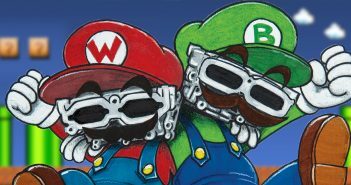 Furthermore, 17 cars sporting either HKS’ GT Supercharger or GT III turbocharger competed on the dyno for top power numbers. In addition to track and dyno action, over 30 exhibitors set up booths with cars and parts to display at the event. 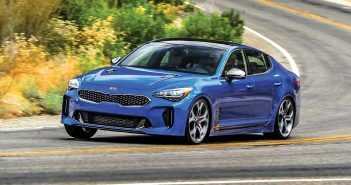 These exhibitors showcased the latest go-fast parts and demo cars for 2017. HKS also had its own showcase of products at its Premium Salon section of the event. This venue also served as the world debut of HKS’ latest time attack machine, the HKS 86 GTS800. Fully clad in carbon-fiber with aerodynamics by Andrew Brilliant and a rumored 800hp FA20 engine, HKS built this Toyota 86 with one purpose: to decimate the tuning car record at Tsukuba Circuit. 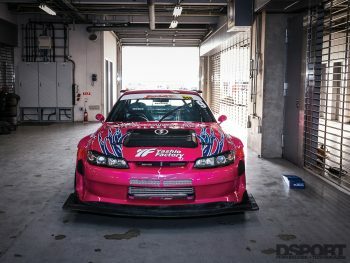 Every year, the quickest tuning cars come from across Japan to chase the elusive Tuning Car Lap Record at Fuji Speedway. 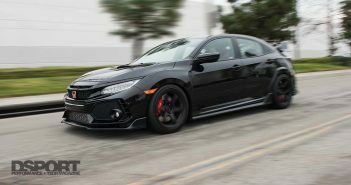 HKS Premium Day always brings together a highly competitive field with entries from various CLUB RH9 Pro Tuning shops, smaller shops and privateers as well. This year, Garage G-FORCE took a break from Tokyo Auto Salon and instead spent time working on its silver Varis widebody CT9A (DSPORT Issue #154) in preparation for this event. 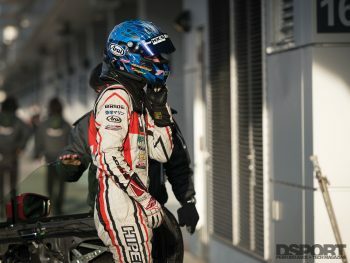 Now sporting a MoTeC engine management system, uprated BorgWarner EFR turbocharger and a considerably more aggressive aero package, Nobuteru Taniguchi was able to click off a new record of 1:38.86. This lap time put the EVO almost 2.5 seconds quicker than the next quickest competitor, the HKS Technical Factory / Varis R35 KAMIKAZE-R Super Sonic. Just one second behind the KAMIKAZE-R was GARAGE ITO’s BNR34 followed by the Kansai Service R35 GT-R. 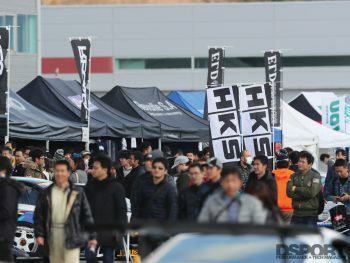 In addition to the unlimited class chasing the lap records, HKS also hosted its Hiper Challenge event. 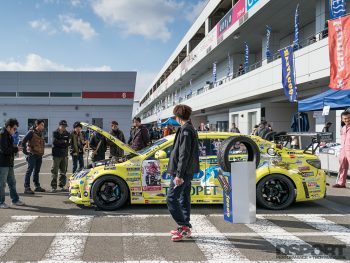 A series of events that tours tracks all over Japan, the Hiper Challenge allows amateurs and privateers to pilot their own tuned vehicles and compete in one of three groups. 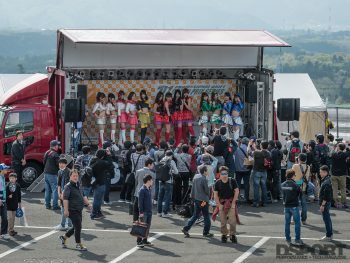 This year, 90 cars participated in this event with Toshihiko Suro and his Kansai Service-tuned R35 GT-R putting down a 1:48.617 to take the win in Group A. In Group B, Yichiro Otomo took the top stop with a 1:52.969 in his Lotus Exige. 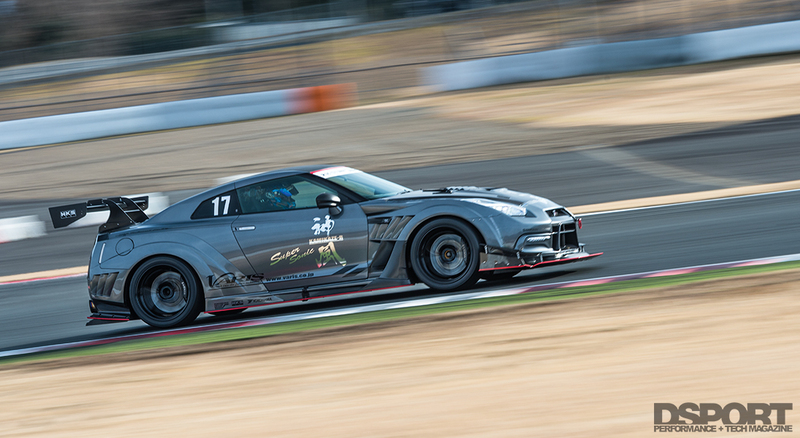 Jun Taniguchi in his R35 GT-R rounds out the winners of the Hiper Challenge, lapping a Group C best time of 1:54.701. As the lap record fell at Fuji Speedway once again, attendees witnessed history in the making. Although many of these same cars debut at Tokyo Auto Salon, it’s an entirely different experience seeing and hearing them tear up the pavement at the foothills of Mount Fuji. 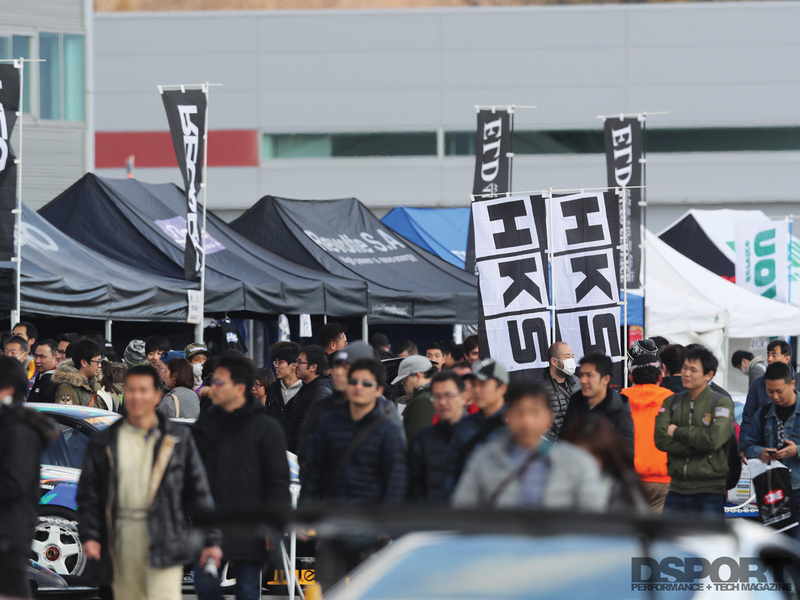 Starting as a celebration of its 35th year anniversary, HKS Premium Day is growing in size and popularity every year.